Sunday’s BET Awards made one thing very clear: Gucci has supplanted Givenchy as the high end, designer label of choice among style-conscious rappers. The best one to make it official was 2 Chainz, who walked the red carpet in the brand’s $5,000 (and absolutely totally worth it) shearling-lined denim jacket, then performed in a sweater, also by Gucci. Gucci, under the relatively new direction of creative director Alessandro Michele, has embraced all things weird, bold, and kitschy. 2 Chainz, like many other rappers, is a fan of the bold and out there. And if you’re going for a look that is more out there and statement-making than anyone else’s, isn’t a denim jacket embroidered with butterflies, birds, and flowers the holy grail? There’s a history of rappers reaching for looks that stand out. If you will, please hop in this DeLorean and time travel with us to the early part of this decade. 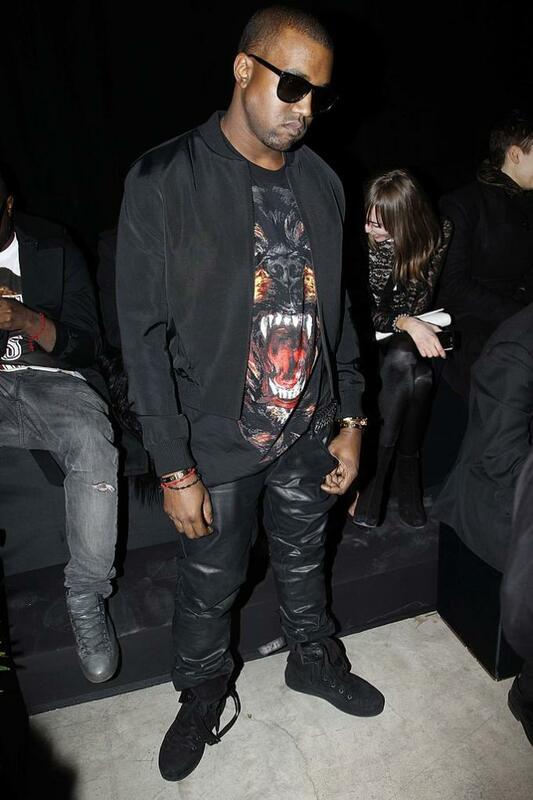 You can see Givenchy’s “animal” tees on everyone. The label and its tees were practically required for anyone who released a mixtape between the years 2010 and 2013—and for the likes of Kanye West, Rihanna, Diddy, Jay Z, Usher, Danny Brown, Fabolous, 2 Chainz, and Tyga, who all wore Givenchy’s uber-popular Shark, Rottweiler, Birds of Paradise, and Madonna graphic tees. The tees&apos; popularity among rappers trickled down to athletes like LeBron James and Kevin Durant and became a must-have item for us regular folks. The tees feature different creatures, but what all of these pieces have in common is the massive graphic taking up almost the entirety of the items’ front side. The Givenchy tees are emblematic of a time when bigger really was better. Before minimalism was the buzziest word among style-conscious dudes, and we started throwing all our money at the best luxury sweatpants money could buy. Now, bigger is back, bigger, and better than ever. 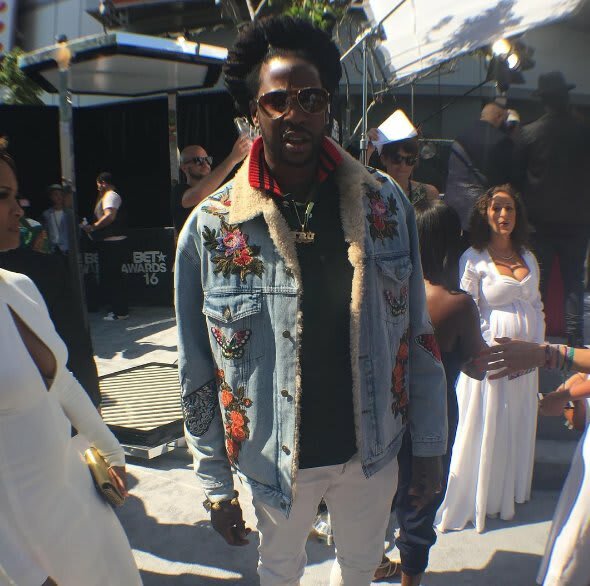 Gucci was not just the label of choice for 2 Chainz; Pusha T also showed up to Sunday&apos;s BET Awards in a jacket with a flower on a front and a collage of foliage and reptiles on the back. The label has also made a fan out of extremely fashionable emcee A$AP Rocky, who has been wearing the label since its very first Michele days. Future has worn his own Gucci polo recently, and other celebs (non-rapper division) that have shown the label love include Jared Leto, Harry Styles, and Justin Theroux. Oh, and did we mention Rihanna wore the same jacket as 2 Chainz a couple weeks back? That about settles it. Although Givenchy and Gucci prospered in different eras, they accomplish the same mission: supplying our most daring celebs with a look that won’t be missed. 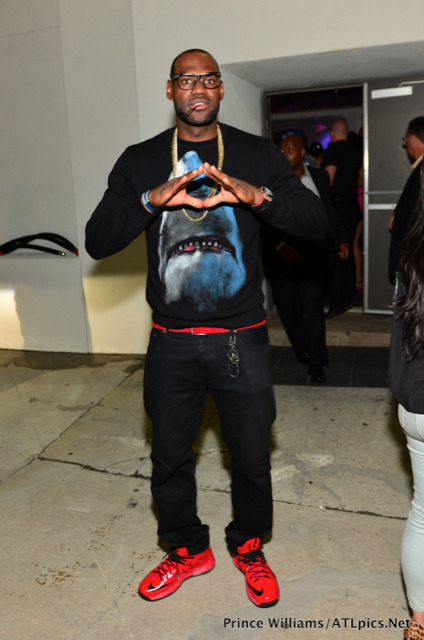 Rappers and other celebrities, by nature, are bombastic and confident with their style. As Chantal Fernandez writes in her story appreciating 2 Chainz and his Gucci look for Fashionista​, "2 Chainz wears the pieces with a kind of casual aplomb." She goes on to lament the fact that not everyone has this sort of confidence. Not everyone can pull off a piece with a huge graphic of a shark or a collection of flowers and butterflies on it, and everyone knows that. So, wearing the piece becomes the ultimate flex. It says the wearer knows he or she&apos;s got it, and no matter how ridiculous a piece looks on the rack, it looks great on them.